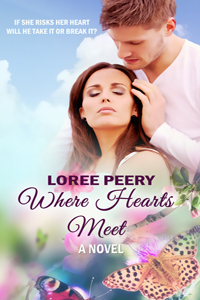 My Writer of the Day is Christian romance author LoRee Peery. She writes to feel alive, as a way of contributing, and to pass forward the hope of rescue from sin. She writes of redeeming grace with a sense of place. LoRee clings to I John 5:4 and prays her family sees that faith. 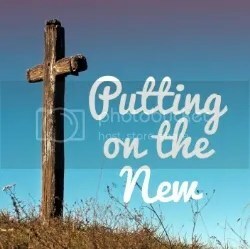 Her desire for readers, the same as for her characters, is to discover where they fit in this life journey to best work out the Lord’s life plan. She has a brand new release,Where Hearts Meet! And lucky us, she wants to give away a PDF copy of it. To be entered in the giveaway, scroll down to the bottom of this post and leave a comment. The winner will be drawn on July 27 and announced on the blog. Blurb: Shattered by the loss of her parents, Deena pours her love into her patients at an assisted living facility. When the son of one her charges starts showing up to spend time with his mother, Deena’s wary heart is warmed by his attention to his mother…and to her. Simon is plagued by his ex-wife’s disappearance years before. When he meets Deena, who closely resembles the woman, he fears his attraction is based only on Deena’s looks. But she exhibits a warmth his ex-wife never had. Dare he risk his once broken heart? As two lonely souls pursue a tentative, budding love, secrets and lies come forward to tear them apart. Can Simon and Deena overcome loss and allow their hearts to mend? It sounds like a great book, Loree! Thanks for visiting with us. And don’t forget to leave a comment so you can win the copy of WHERE HEARTS MEET! Contest ends on July 27 and the winner will be announced on the blog. If I don’t have an email for you, then that will be the only way to let you know you won so be sure to check back! ← FREE Books & Giveaways! Thank you, Lillian, for spotlighting Where Hearts Meet.